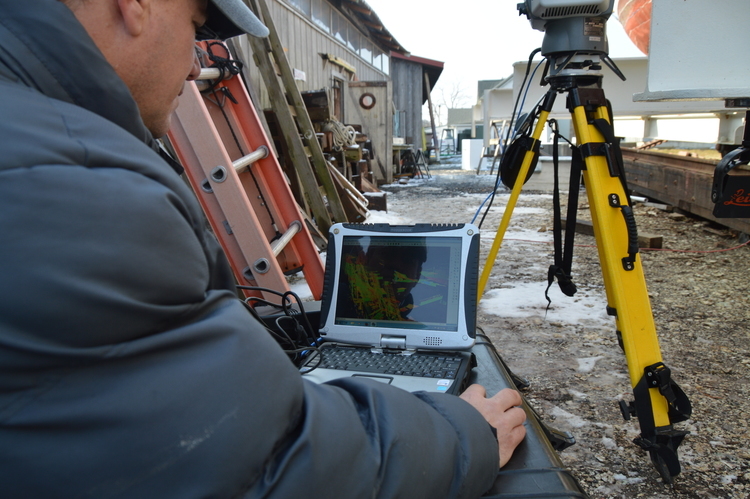 Chesapeake Bay Maritime Museum Boatyard Manager Michael Gorman, along with his apprentices and volunteers, have hauled out the 1889 nine log bottom bugeye Edna E. Lockwood this winter to make room for the National Park Service to laser scan and photograph the historic boat’s log hull. The information is being put together by NPS’s Heritage Documentation Programs to document the different parts of the hull and how they come together as a greater whole. 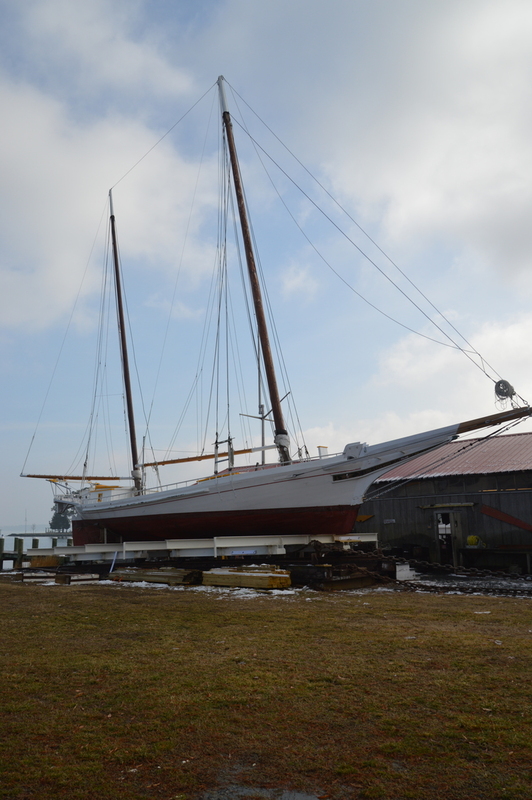 The project is part of the Historic American Engineering Record (HAER) ‪Maritime Documentation Program, with the produced measured drawings added to the HABS/HAER/HALS Collection in The Library of Congress to document the last working oyster boat of her kind. 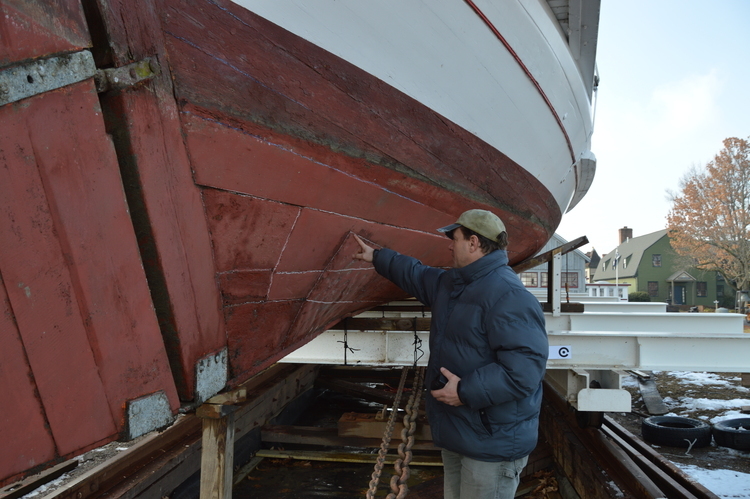 For CBMM, the information gained will be turned into a 3D model to aid museum shipwrights and apprentices in the restoration of the Edna E. Lockwood.